Riseley Eco Cottage : Switched on the ESP air pump today. It takes heat from the cottage ventilation system to heat the domestic hot water. 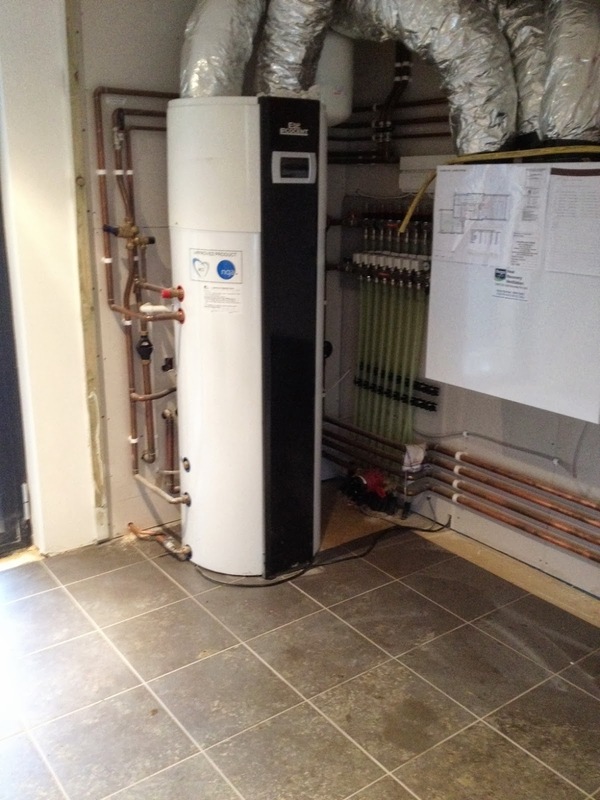 A separate heat pump runs the under floor heating. Switched on the ESP air pump today. It takes heat from the cottage ventilation system to heat the domestic hot water. A separate heat pump runs the under floor heating. So this isn't a passive house though you're using SIPS panels and frame right?